^^ both the cars are almost of same price.. 05 Toyota Prado TZ & 04 Range Rover VOGUE! the only difference is mileage.. prado driven:35,900kms RR driven: 76,000kms. 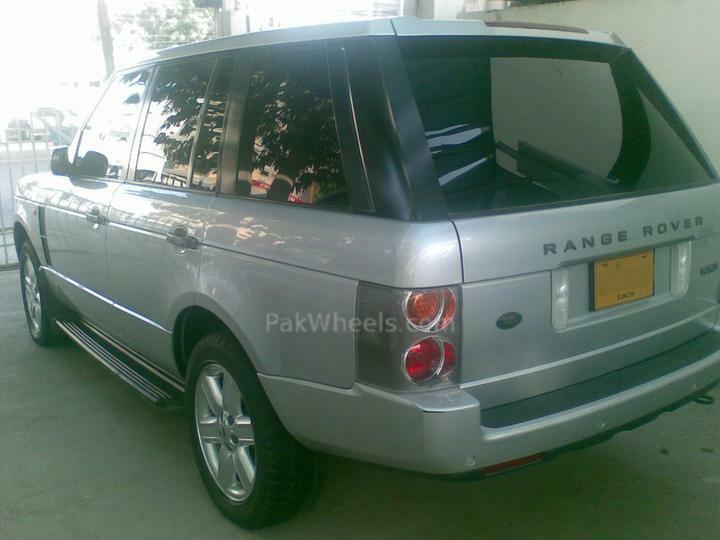 haan thats different if the range rover u bought was ragrofied,cng fitted or vatever the case mayb!! Range Rover is a better option, if it is in a good condition. Parts and resale are the factors to consider. The original plan of BMW 6 or 5 or 3 series is a much better idea though. Its not worth it, the rangie is twice as used as your prado, and has reliability issues, parts issues, and also resale issues..
Its really a lovely car, i've driven one but only if its sparingly used and taken care of. this rangie is bound to have some issues within the next few months, whereas your prado looks like a gem and won't have any problems! @ carsrus prado's mileage is 35,900kms & RR's mileage is 76,000kms..
@storm bro do u mean its hard to maintain range rover in karachi?? it means exactly what i wrote, they are unreliable cars. i think u should kept your prado becuase its easier to maintain everywhere,excellent resale value and its interior is nice than rr but rr is a more classy ride but its more driven 76000 for a imported car . do note that the range is is in the same league as the cruiser,.. but don't forget that at this mileage the rangerover is going to start giving minor problems which will eventually end up as major issues if not rectified immediately. also note that reangerover parts are unrealistically expensive when compared to toyota parts. if i was in your place and have a fully reliabel prado i'd probably stick with it since by making the swap to a range might make you miserable,.. but it might not. it's a tough decision and as i said before, go for the one you prefer to have in your dirveway. If a person can maintain a Prado, he surely can also maintain a Range Rover. Range Rover is one of the most reliable vehicles in the world, if it was driven properly by previous owner. I will still strongly recommend a Bimmer.